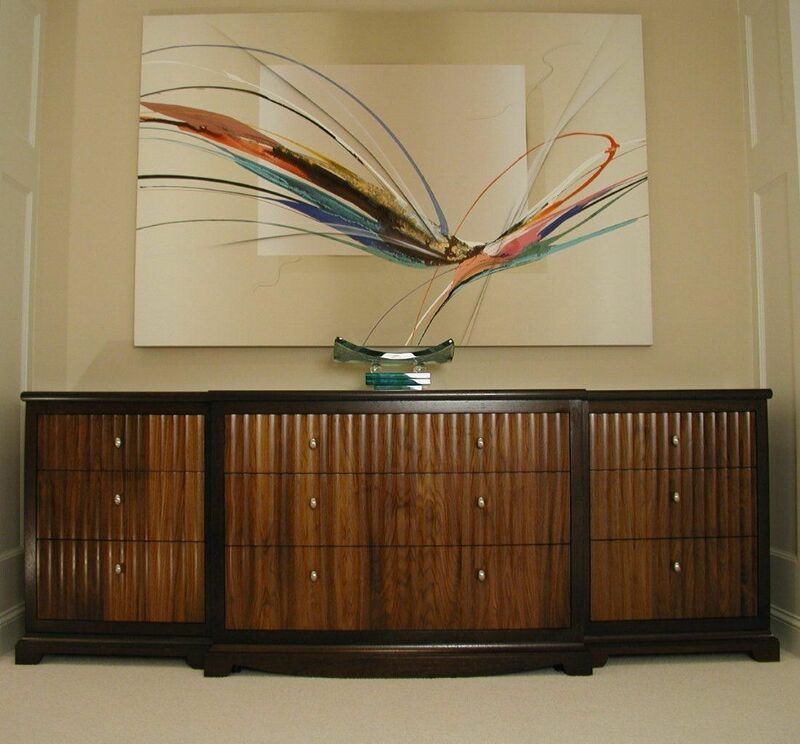 The scalloped front on this dresser creates visual delights with the interplay of reflection and grain patterns. 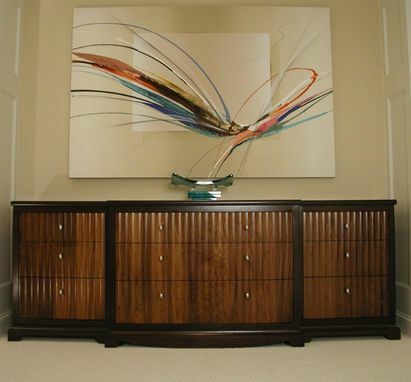 The drawer fronts are American black walnut and the casework is African wenge frames and walnut panels. 22"D X 92"L X 34"H This dresser is 3 connected pieces but can be made as a smaller one unit piece.